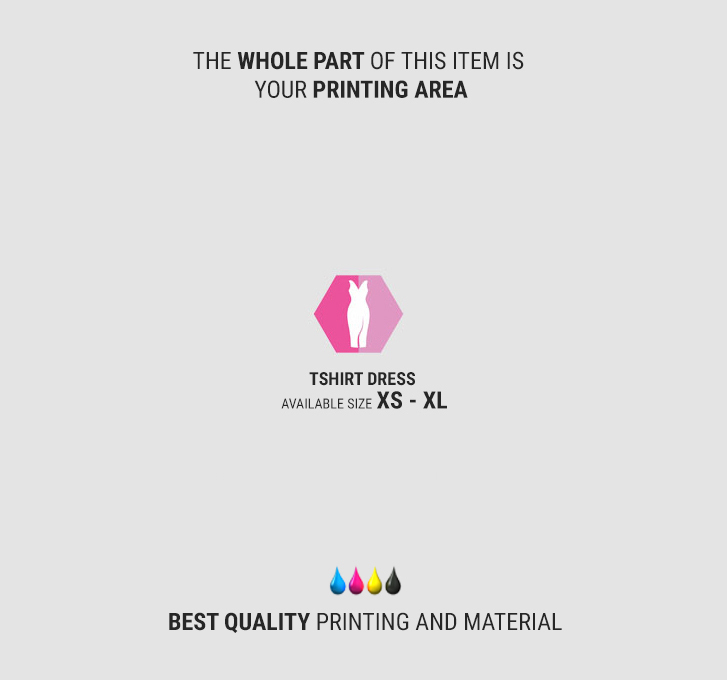 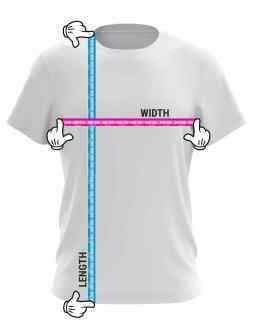 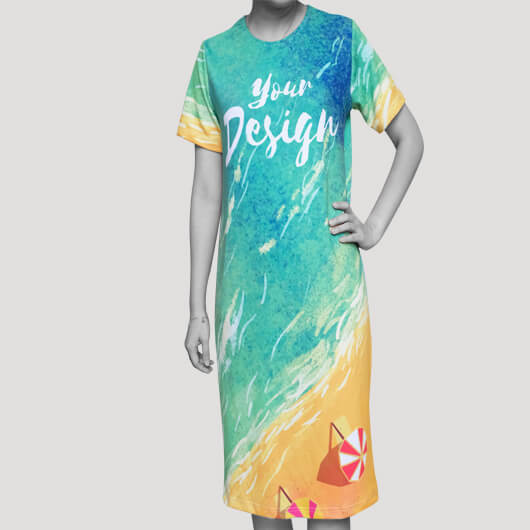 How would it be if we change t-shirt become a dress? 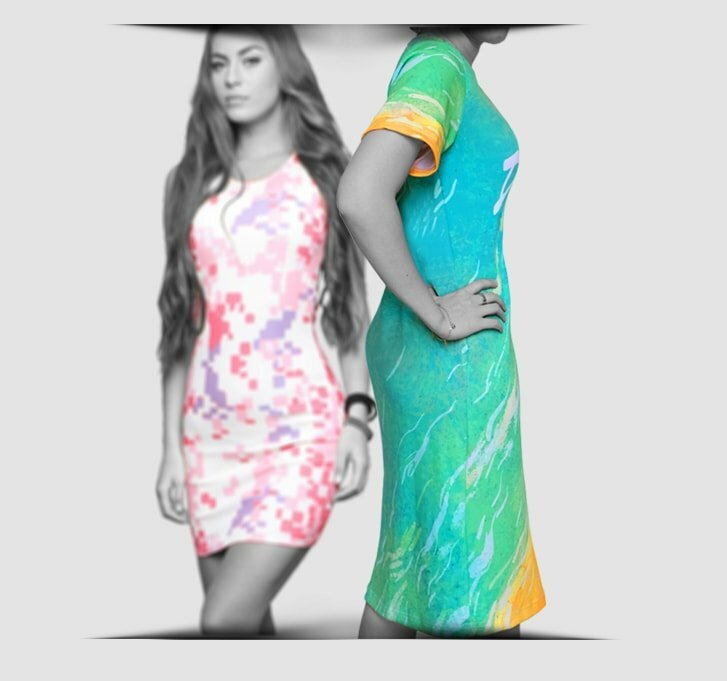 In custom.sg we provide T-shirt Dress for you ladies who want to look casual and comfortable under t-shirt dressing with no need to use any pants or skirt in polishing style. 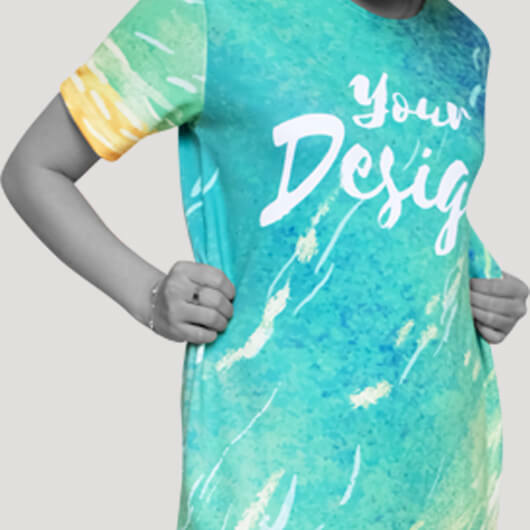 Dress T-shirt gives a casual yet feminine to women. 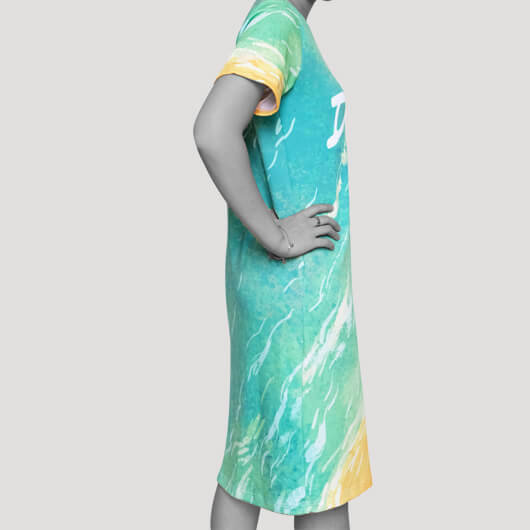 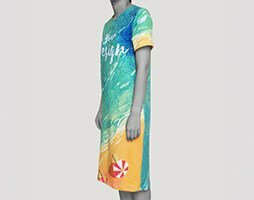 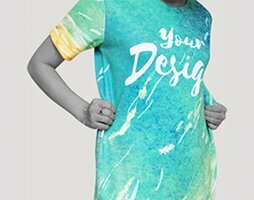 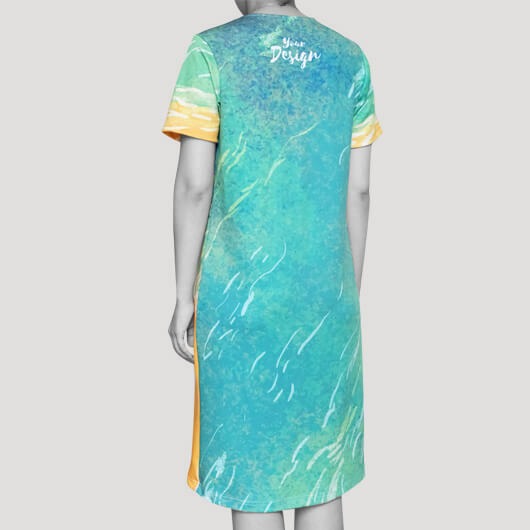 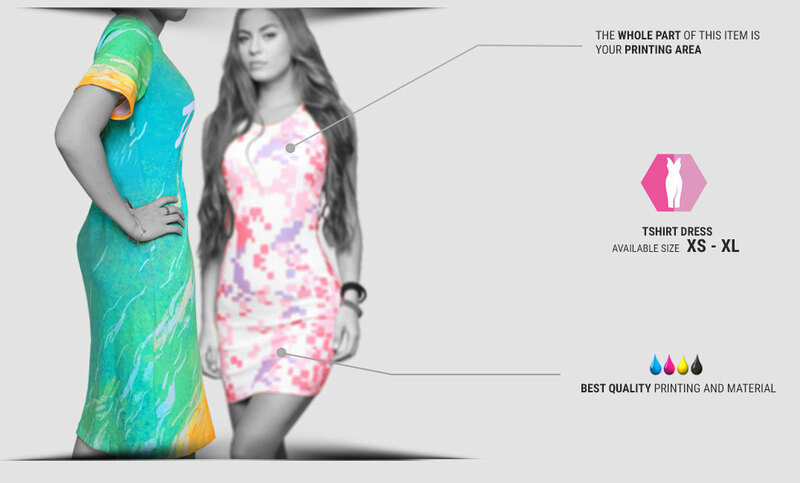 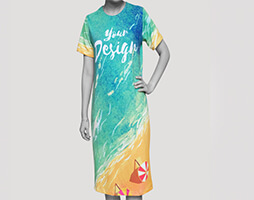 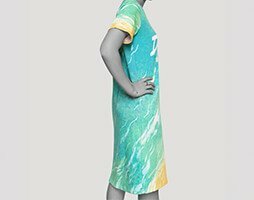 Then, you can add any full-print graphic design you like to your T-shirt Dress. 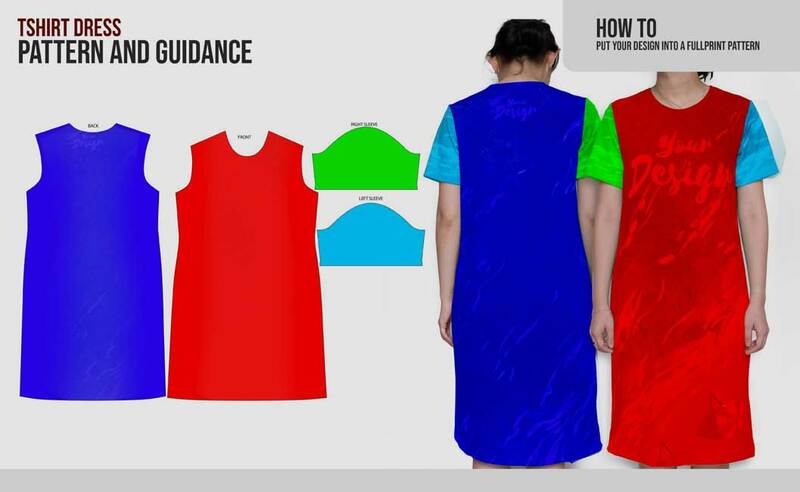 In custom.sg there is no limitation in designing and ordering in the unit or even in bulk. 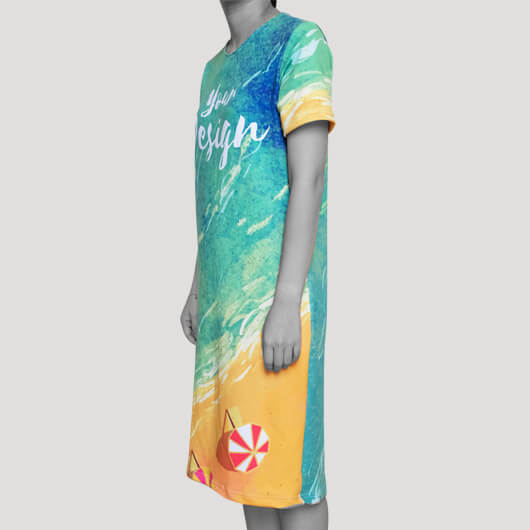 Be creative with your T-shirt Dress and be unique among the others!